Join forces to defeat evil monsters. With cards. .... Maybe. 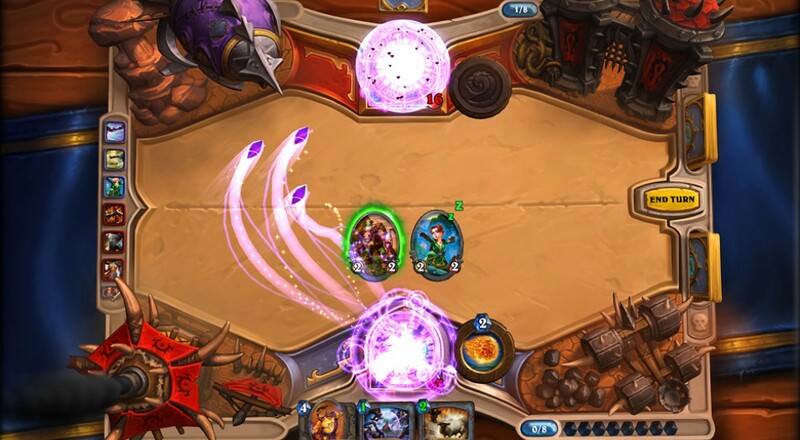 Earlier this year, Blizzard announced it was tossing it's hat into the rapidly swelling ring of free to play titles with the reveal of Hearthstone: Heroes of Warcraft, which is in beta now. The card battler game pitted heroes from the Warcraft universe against each other PvP style to earn gold and unlock new cards. Players will utilize some of the series' iconic characters, items, and abilities in a system that appears somewhat similar to Magic the Gathering. Take a look at a full match being played between two real players. Notice the third option up there. Cooperative play! And wouldn't you know it, that was the most selected option in the entire survey. While they haven't been implemented yet, co-op Raids against a single AI boss would be an excellent way to patch up a friendship after your buddy's Warlock has beaten your Warrior deck like a million times. The Raid option isn't entirely new. Anyone familiar with the Magic the Gathering: Duel of the Planeswalkers games might recall the "archenemy" mode, where three players team up to face some huge baddie with killer cards. The World of Warcraft trading card game even had special raid decks, where one player would have special cards and compete against a team of players. With the new Raids being played by a soulless robot, that player can now team up with friends, and no longer be the sole source of antagonism.